Abraham Maslow developed a humanistic approach to psychology in the early 1940’s. Rather than focusing on behavior as a result of stimuli and reinforcement or the psychoanalytical idea of unconscious instinct, Maslow focused on the capability of humans to reach their fullest potential. Rather than looking and trying to make sense of the dysfunctional brain, he searched for what it was that made humans exceptional. In a sense, he looked at what it was to be human. Maslow created a set of hierarchical needs that best describe the growth of the human psyche. By analyzing the environment, he synthesized that given the right environment, humans will develop to their fullest potential, that of self-actualization. If the environment is not right, therein lies the potential for damage to the human spirit. This idea meshes very well with Montessori Education. Read on, and we will explain how Maslow's Hierarchy of Needs can be used within the Montessori prepared environment. Maslow’s Hierarchy of Needs is usually portrayed as a pyramid, with the most basic needs providing the supporting foundation. He theorized that if these basic needs were not met the higher needs, such as loving others, contributing to society, and expressing unique talents, could not be actualized. Educational humanism is a philosophy which believes that developing the human intellect is what makes humans stand apart from the rest of the animal world. Humanists, such as Maslow and Montessori, believe it is necessary to study and develop the whole person over the course of his or her lifetime. Teacher candidates in traditional training programs are often asked to look at how their classrooms and lessons are addressing Maslow’s Hierarchy of Needs. The same can be done in the Montessori environment. 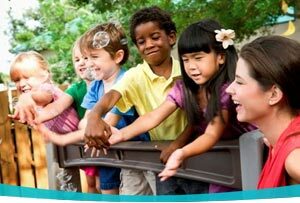 Physiological – A Montessori environment is full of movement. Children are free to move about the classroom at will. In addition, the activities of Practical Life provide the opportunities to develop both gross and fine motor movement. Safety – The Montessori Environment is prepared with the child in mind. The classroom and materials are beautiful, simple in design, accessible to all children, and kept in a tidy, precise order. The Montessori environment is organized which allows the child to feel safe and secure, knowing his or her world is in order. Belonging – There is a sense of mutual respect in the Montessori environment. Children learn to develop friendship through the lessons in Grace and Courtesy by being helpful and kind to others. Esteem – Success builds self-esteem. The materials and lessons in the Montessori environment are self-correcting with a built in control of error. This allows the child to immediately see mistakes and learn from them rather on relying on others to point out his faults. Self-Actualization – Montessori said “No one can be free unless he is independent.” (The Absorbent Mind). 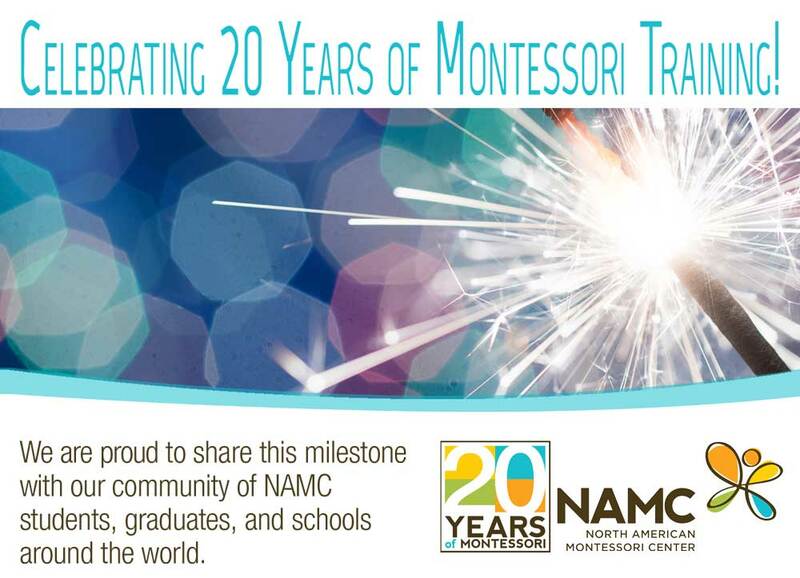 By helping a child to develop independence and autonomy, the Montessori teacher is helping the child reach self-actualization or his full potential as a fully functioning member of society. Understand that controls are good, and complete abandon is problematic. Grapple with serious problems such as injustice, pain, suffering and death. Be given practice in making choices. ~Abraham Maslow, A Theory of Human Motivation (1943). Is your Montessori environment meeting the needs of all your children? Observe closely and ask yourself how you are addressing Maslow’s Hierarchy of needs within your Montessori environment and what you could add to make sure you are reaching and following all in your care. © North American Montessori Center - originally posted in its entirety at Montessori Teacher Training on Friday, October 30, 2009.